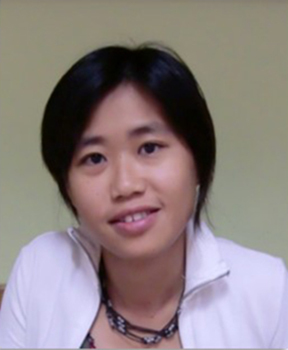 “Epigenetic Control in Chromosome Segregation: @ Centromere and Sister Chromatid Cohesion”, by Karen Wing Yee Yuen, Assistant Professor, School of Biological Sciences , University of Hong Kong. Each chromosome must segregate equally to the two daughter cells in every cell cycle. Errors in chromosome segregation can lead to aneuploidy in cancers and chromosome abnormality disorders. Multiple cellular processes need to be coordinated spatially and temporally to achieve equal chromosome segregation. After DNA replication, sister chromatids have to be cohesive before they separate in mitosis. The centromere, a specialized region on each chromosome that binds to microtubules, orchestrates chromosome movements in mitosis. In this talk at my alma mater, I will discuss how our lab uses budding yeast and the nematode Caenorhabditis elegans to delineate conserved epigenetic mechanisms, including long non-coding RNA and histone modifications, to regulate sister chromatid cohesion, centromere maintenance, and de novo centromere establishment. Monday, March 4, 2019, at 3:00 pm. LSC#3, 2350 Health Sciences Mall.